Back in December we heard it was coming, and now it’s indeed happened: developer-publisher Square Enix has launched its popular JRPG Final Fantasy IX on the App Store, and it’s available to download now. In the U.S. App Store, Final Fantasy IX retails for $16.99 and it’s optimized for the iPhone/iPod touch and iPad. That price, mind you, is 20 percent off the eventual price for a limited time only (between Feb. 10-21). 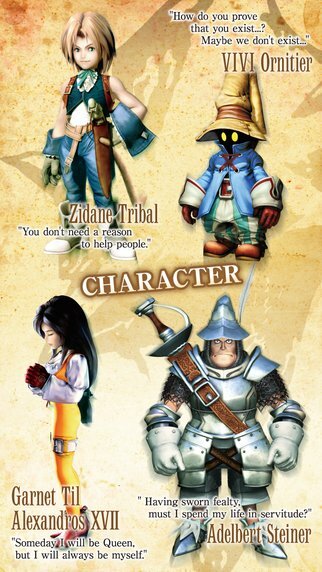 And while Final Fantasy IX for iOS might look the same as the original PlayStation title, there are some big differences. You can unlock Game Center achievements in the iOS port, and seven new game boosters can also be enabled inside Final Fantasy IX for iOS. 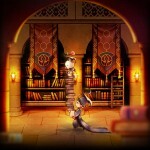 There are character models, HD movies, and game autosaves inside the iOS release, too. 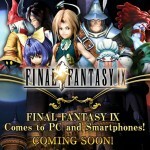 Final Fantasy IX for iOS. So, what are you waiting for? Final Fantasy IX is available now on the App Store, and as mentioned, it’s optimized for the iPhone/iPod touch and iPad (and is priced at just $16.99).